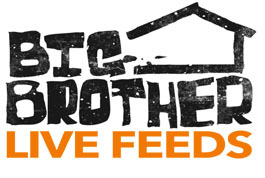 Each week, WeLoveBigBrother.com will bring you an exclusive post-eviction interview with the Big Brother 13 cast. After being evicted, we will ask the evicted houseguests YOUR questions. Read what Keith had to say about his time in the house. WeLoveBigBrother.com When we met you several weeks ago, you seemed to have a defined and planned-out strategy of aligning yourself with several girls and calling yourself “Keith’s Angels.” Tell us what was going through your mind the moment you found out about the Dynamic Duos twist. Keith Henderson: First thing going through my head was “oh snap! Plan B…” I didn’t know exactly what Plan B was, but I knew I wanted to align myself with Porsche because she was hot. Showmance came to mind, that was my Plan B and the only thing going through my head at that time. WLBB: If the Dynamic Duos twist didn’t present itself, who would have been the girls in Keith’s Angels and how do you think the alliance would have worked? Keith: Shelly would have been one, Porsche, Kalia and that’s it. It would have worked well, I wouldn’t have picked Cassie because she and Porsche didn’t get along. Porsche was jealous of Cassie. But with those three, it would have worked well! WLBB: At what point did you begin having doubts about choosing Porsche as your partner? Keith: I had doubts around day 2 day 3, when she was hanging out so much with the vets, up in the HoH room. When we moved into the house as newbies, we were supposed to stick together. She wanted to get us to align with the veterans, but I wasn’t down with that, I was loyal to my newbies. WLBB: Do you regret choosing Porsche as your partner? Keith: No I don’t. I don’t have any regrets at all. Porsche is a good girl and she had to play the game. I hurt her emotionally and that took a toll on me and I don’t ever seek to hurt anybody emotionally. She rocks. WLBB: Looking back, who, if anyone, would you rather have partnered with to further you in the game? Keith: Adam. I would partner with him because he knows the game, he is smart and a semi-physical partner. WLBB: We assume you found Porsche the most attractive female in the house prior to the “returners” coming in the house. When Daniele, Rachel, and Jordan entered, did your idea of the “hottest girl” change? WLBB: If you had the chance to play the game again, would you? And what would you do different? Keith: I would still pick Porsche, we would have had a showmance, but I would have aligned myself with the HoH. I would have taken Porsche to the HoH together, and we would align with them together. I would have told Rachel that we (Porsche and I) wanted a chance to elevate our relationship to Brendon and Rachel/ Jeff and Jordan status.